Stuart McCall certainly can’t be accused of being predictable. Faced with the ongoing issue of making his Bradford City charges more of a threat in front of goal, at Bolton on Saturday he employed a number of different approaches that posed plenty of questions of Phil Parkinson. Forget the fact the team was unchanged, save for Marc McNulty coming in for the injured James Hanson. City’s formation was not the straight 4-4-2 that has been seen over recent weeks. Mark Marshall began the afternoon up front with McNulty – Billy Clarke playing at the tip of a diamond. And then later on Marshall was given a free role and encouraged to hunt for space. In the second half the Jamaican popped up on both flanks. Nicky Law was similarly moved around as McCall gave his players the licence to mix up the play. He was on the left in the diamond at first, then in the centre of midfield supporting Josh Cullen. Law was City’s man of the match once again and heavily involved in attacking moves. He more than anyone embodies what McCall is trying to do. If only it all led to more goalscoring opportunities. There was so much to be encouraged about City’s performance at the Macron, especially during the second half where they were dominant. Nevertheless, Mark Howard was hardly worked in the Bolton goal. Promising openings were passed up due to a lack of killer touch. Shots on goal were far too infrequent. Five consecutive draws clearly show that there is something missing from City. Billy Clarke has enjoyed an excellent start to the season and is playing some of his best football since joining in 2014. The Irishman is on the same wavelength as Law and Josh Cullen, linking up so well with them both. But because almost all of Clarke’s best work takes place outside the box, City lack vital presence inside it. They just don’t have enough people to finish off attacks. If the season continues this way, there will be questions raised about whether you can play Clarke, Cullen and Law in the same team. They do great work together as a three, but it leaves City short elsewhere. Over recent years Arsene Wenger at Arsenal has been accused of playing too many players that are similar, chiefly overloading the side with attacking midfielders/number 10s, without someone breaking things up. It’s not quite the same for McCall and City, but there has to be more of an end product to the pretty build up play. The three are at their most effective in the same part of the pitch, meaning City are lacking in numbers elsewhere. Law plays on the left wing but is not playing as a winger. 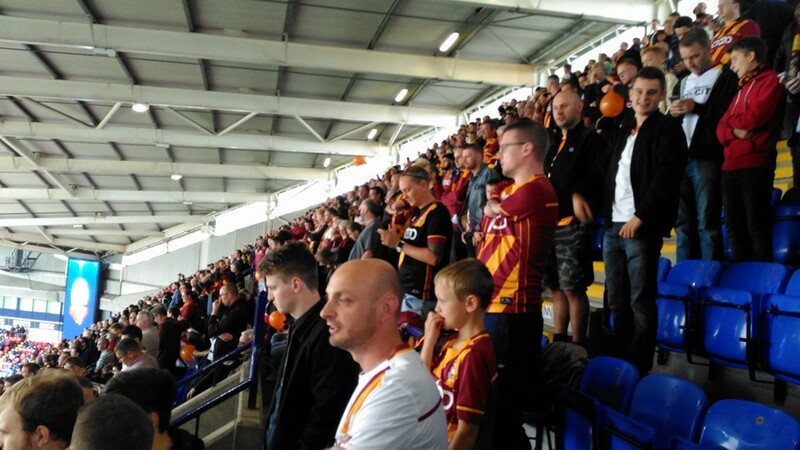 This isn’t a new development at Valley Parade, the tuck-in-wide player was a regular feature of Parkinson’s time in charge – Will Atkinson, Garry Thompson and, last season, Tony McMahon, the most obvious examples. Law is a very different player to McMahon and offers a lot more going forwards. His continual cutting inside frees up space for James Meredith to charge down the flanks. This should be an effective left-sided midfield – you could argue Law and Meredith are City’s two best players so far this season – and yet there are not nearly enough balls coming into the box. But McCall isn’t far away. His decision to continue Romain Vincelot and Nathaniel Knight-Percival at the back was a surprise in view of Bolton’s predictable physicality, but the pair absolutely justified their manager’s ongoing faith with terrific displays. Equally important is what they bring to City’s attack. They bring the ball out from the back, and set the tempo and tone for the Bantams’ passing approach. On so many occasions Colin Doyle would roll the ball out to Vincelot and Knight-Percival, and in front you’d see midfielders and attackers moving around into different positions, dragging markers out with them. It is not easy for opponents to anticipate what will happen next, given the variety of City’s play. It was no small feat for City to be so successful at passing the ball through the middle of the park, given Bolton’s brawn. Josh Cullen was on the receiving end of some nasty challenges but would not be bullied. City stood up to the physicality and continued to play football to the McCall blueprint. The team has flair and are easy on the eye, and they clearly have plenty of steel too. If McCall can just solve the striking dilemma, City could be flying. McNulty was not the answer on this evidence, but it’s early days. Jordy Hiwula impressed from the bench, but was wasteful in heading that late chance wide. McCall needs to find that clinical edge, but he pretty much has the system and the template. City are really engaging to watch, inventive in their attacking approach, and anything but rigid in their formation. The jigsaw is nearly complete, but there’s still that one crucial piece missing. A win tomorrow and everything is rosy. If we draw or lose I’ll not be coming to WoaP for an analysis; because it is likely to be,, pretty much, a repeat of the summary of why we are close to perfect that you have published after every draw for the last six. The Bolton reactions to the draw are worth finding and reading, They are divided. Most are excusing being bad(? ), because of injuries, small squad and the ref (like we do too often), along with the fact they are struggling after a dreadful season: but there are already some Bolton fans that are already sick of 5 defenders and one man up front. On the other hand one of their blogs takes the wizz out of our claims to samba football; which is fair enough: seeing Bolton have a point more, and have scored the same number of goals, as us; and they are a Parkinson, defend first, team! I am happy with where we are and how we are playing: but after 9 games I think we are a play-off contender at best. There are signs we could do better; but until we do do better that promise is just a promise! 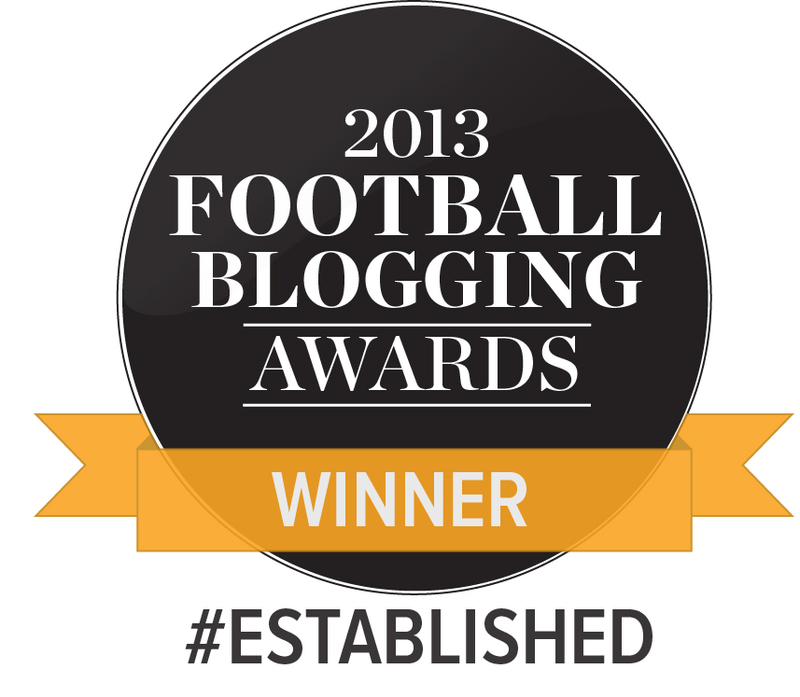 Bye then, enjoy reading your Bolton blogs. Not getting into the argument of you two but the point he makes RE perception is spot on. We are currently a very positive fan base who are enjoying the fact we are unbeaten. The Bolton fans seem a very unhappy lot and point to the fact they haven’t won for 5 league games. Something that we also haven’t done. So in fairness I do see his point. I’m sorry but I don’t share this bleak view of all things Bradford City. I can lie and write false articles if you want. Bolton was a really tough away game. After a ropey first half I thought we played well and I think we should be optimistic about where we are going. For Bolton it is different. I thought they were poor and im not surprised Bolton fans were unhappy. But this is a Bradford City site. I’ve read WOAP since it started due to its amazing articles and writers but I take my hat off to you Jason for the best piece of spin I have ever read. Corbyn will be on the phone soon I have little doubt. So Laws cutting in gives space to Meridith to bomb up and down the wing? On the one hand it’s techinically true. I will give you that. But the truth is that him cutting in has meant that Mezza has to play two positions to give us any threat down the left at all. It’s only Mezza sheer brilliance and engine that allows him to do so. I’m not sure we have another player who could play in two positions in one game the way Mezza does. Your analysis though is very thorough and I think the overall tone, that we are not far off is right. I also think that Law and Meridith have been stand out players. It’s difficult to write this as I don’t want to be negative, but I feel we just haven’t got the midfield right. Law cutting in all the time means the midfield is crowded. It’s had an impact on Cullen who often doesn’t know whether to stick or twist, and Dieng is forever running to cover areas that Law has vacated. I know the last two articles have put the most positive of spins on this alleged versatility. I’d say Laws indiscipline at losing his position is slightly more troublesome than is being let on. The tucked in winger is not a new role at VP, but Law simply isn’t playing it. Many will criticise this but if the balance was right we would be scoring. Law would have umpteen assists, the most assists currently are T Macs, and we wouldn’t be drawing games we should have been winning. All happy problems though as we have two great players for every position. Come on Ben you’re better than that! I know you don’t like Law much, but it is clearly a deliberate strategy to have him cut in and Meredith bomb on. If McCall didn’t want it to happen he would have stopped it weeks ago. I appreciate you might disagree with it, but that is the intent. I don’t like Law. He’s been outstanding. I said that he and Mezza the players of the season for me. But we can’t have three central midfielders. It isn’t working Jason. It can’t be can it. I know you’re very positive at the moment, as am I for the record, but for me something isn’t quite right. As I said, we would be scoring for fun if it was. We would be creating more, winnng more. How many have we scored. How many have been penalties? I’m a bit upset at the comment “you’re better than that”. Aren’t I entitled to an alternative opinion or do we all have to subscribe to the WOAP take? I’ve used this site as my first point of reference for all things City as it invokes debate. Is that no longer the aim? After the summer we had I would have been happy with anywhere in Top 10 until Christmas whilst we find our feet! I am delighted with our start, and yes it IS frustrating that we dominate games but don’t take our chances, but we are playing well. That’s certainly most of our toughest away games already played, and unbeaten too. We have traditionally found Gillingham and Oeyerborough tough places to go to. Millwall is always a bad place to go for anyone. Bolton and MK Dobs were in Championship last year. You can lose Clarke, add a winger & get a striker into the box. It is only a matter of time before teams work out that there is a massive whole left behind Meredith when he bombs forward, his link up play needs to be supported by a quick winger. Don’t agree with the tetchiness towards Jason and WOAP. If all opinions are to be welcomed here – and they should be – then that has to include the site authors and their views are why I come here, as interesting as the comments are. Katie and Jason consistently offer the best analysis / discussion of all things VP and I reckon we should cherish that rather than flinging accusations of spin / lack of objectivity. Moving on… the part of Jason’s piece that interested me most is at centre half, where both NKP and Vincelot have been outstanding. Having a midfielder playing at the back allows for “two diamonds” to emerge, with Vincelot at the base of Dieng, Darby, Meredith. NKP is a baller too, so the principles McCall is setting out start from there. Kilgallon, McCardle and Clarke may not provide this in the same way, so whilst I do want to see Vincelot in midfield, we’d need to balance this with what we may lose if he moves. How effective would he be in midfield if the ball started flying over his head? That might not happen, of course, but McCall clearly thinks the current centre-back pair are working in supporting the exciting passing game that has delivered such a strong set of (particularly away) performances so far. I guess the general consensus is that we all recognise we are very much a work in progress, and not the finished article. One thing I like and respect about WOAP, is that we can all offer our own opinions without fear of being ignored or subject to any animosity, unlike some other ‘sites’. I am more than happy to express my own views, but equally so, to read and digest those of others. So long as we remain a work in progress, debates will continue, and during all that time I will still enjoy the WOAP updates, whether I agree, or not. I’d play vuckic in the Clarke role tonight- as good as Clarke has been. More of a presence, something different and a very good striker of the ball (rare Clarke hits much clean). I always say it’s not about the best 11 players – which Clarke may be on of – but the right balance. I suspect there’ll be 3 or 4 changes tonight with the game being so close to Saturday’s. I wouldn’t be surprised to see this be the games that Vincelot is unleashed in midfield. I know it’s a cliche to suggest that they want to score the perfect goal but that was how it felt sometimes against Bristol Rovers (I wasn’t at Bolton) There’s only really Marshall that seems to be willing to take a chance from distance, and that willingness to have a pop inadvertently lead to Meredith’s goal in that game. That’s a minor criticism really in what’s been a very encouraging start to the season. There’s been too many draws but it’s worth bearing in mind that City have already played 7 out of the other 11 teams in the top half of the table.